One of my Does kidded late monday evening and had the most dreadful time. I checked her at 7pm and she EATING and then went back at 9.45pm and she was down and in labour. There was one head out, and it looked swollen. Rushed in and put my hand in to find the legs and there - directly on top of this kid...was a second kid - riding piggy back to the first one. I tried desperately to push this one back in, but it too felt like it had a huge head. I then got on the mobile and rang a farmer friend half a mile up the lane and she was there with me in less than 5 mins. She's a very experienced sheep farmer and always said no matter what time, if I needed help, just to ring. Anyway, she managed to get the top kid back and then got the first one out - which was huge and dead . I prayed the 2nd one was gonna be OK, but she got that one out and it too was dead and this was followed by a tiny mummified third one. The doe by this time was obviously in huge pain (I'd also rung the vet) and exhausted. Not a lot more we could do then, so friends went home and 10 mins later vet arrived. Checked her insides and said all was OK - put a fistfull of antibiotic pessaries in, gave her a Metacam and I gave her a huge dose of Penstrep, then all we could do was keep our fingers crossed. The following morning she didn't appear to be too bad. She even managed to struggle onto the milking stand so that I could milk her out - she nibbled some feed too. However, since that morning she's gone rapidly downhill again. Wouldn't stand, eat or DRINK. Got some glucose sachets from the vet and another jab of Metacam (still giving her daily shots of Penstrep). She's since taken small amounts of the warmed drink but no where near enough as she should be having. Tried drenching her....but she's still strong enough to throw her head around and reject that! Last night she finally ate a banana and I tempted her with some warm goats milk, which she drank. this morning its back to nibbling a mouthful of banana and a couple of mouthfuls of glucose drink and same of milk. On a happier note, the other doe kidded Wednesday morning, triplets, and no problem whatsoever (as normal). 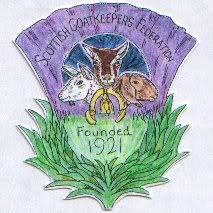 Hi, Mandy, sorry to here of the bad kidding, although I have been quite lucky with normal kiddings I have come across your goats situation many a time with the sheep, but I know it is so much worse with goats as they are such bad patients but nursing does help. Keep on with what you are doing keeping her warm and keep trying titbits. When I had an ill goat offering her leaves helped although she only took a few to start with gradually she took more over time also molassed warm water off soaking sugar beet helped mine. The glucose / lectade stuff is good if you can get any into her as it stops them licking the yellow salt licks all day once they recover. You could try her with a salt lick as it might encourage her to drink. My advice is just to keep trying, don't give up . Thanks ever so much for your advice and support Fiona. I think we might finally have turned the corner now ..... she nibbled half a banana thursday evening and then a another half and a half an apple Friday morning. Friday eve she was actually standing up at feeding time and she ate another banana, half an apple and then sat down again and had a few willow leaves. This morning she was standing up again, had nearly 2 bananas, a whole apple and more willow leave sitting down. She's looking brighter now although quite weak, but I feel we're actually getting somewhere at long last. She's been drinking the warm Glucose drink quite well too and I'm off to the vet in a minute to get some more for her. Will keep you updated. I hope she keeps on improving! Thanks ever so. She's going from strength to strength now and although not eating her concentrates, is eating all the fruit and wilow leave etc that I off her Never heard of the studmuffins....so gonna give the website a look and maybe order some - sounds just the job. Amazingly, she's even milking about 2 pints a day now .. Her udder had just about dried up to nothing, but then started to show small signs and so I started milking her again twice a day - even if it was only a few squirts - and low and behold - MILK !! Fantastic. She's not 100% yet, but I think she's probably a good 80% now, having come back from less than a 50/50 survival rate. Marvellous.